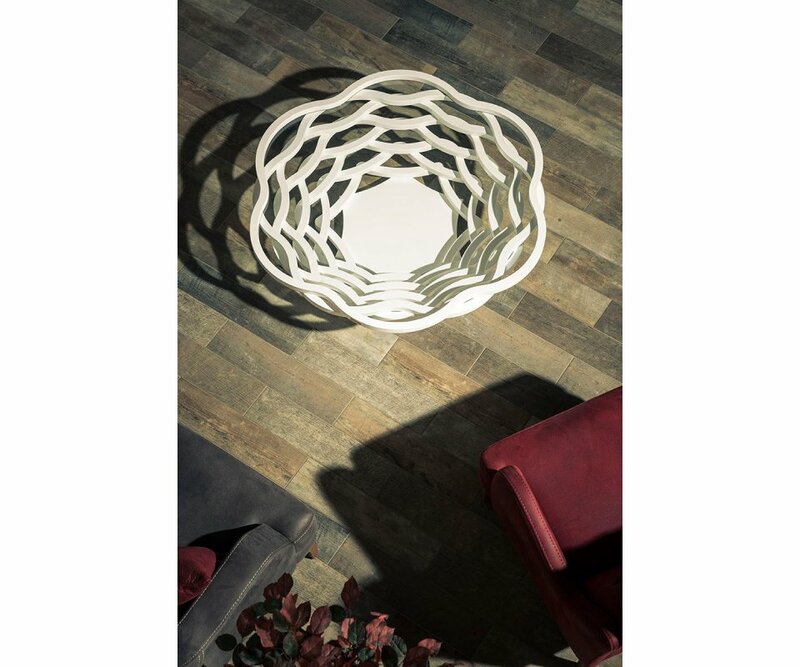 UNIQUE DESIGN: This stunning table is designed in a flared wooden basket weave pattern, that adds a contemporary, eclectic focal point to any living space. BUILT TO LAST: Made from premium veneered MDF boards, and finished with durable lacquer that is lustrous, beautiful, and resistant to fading or yellowing from UV rays. 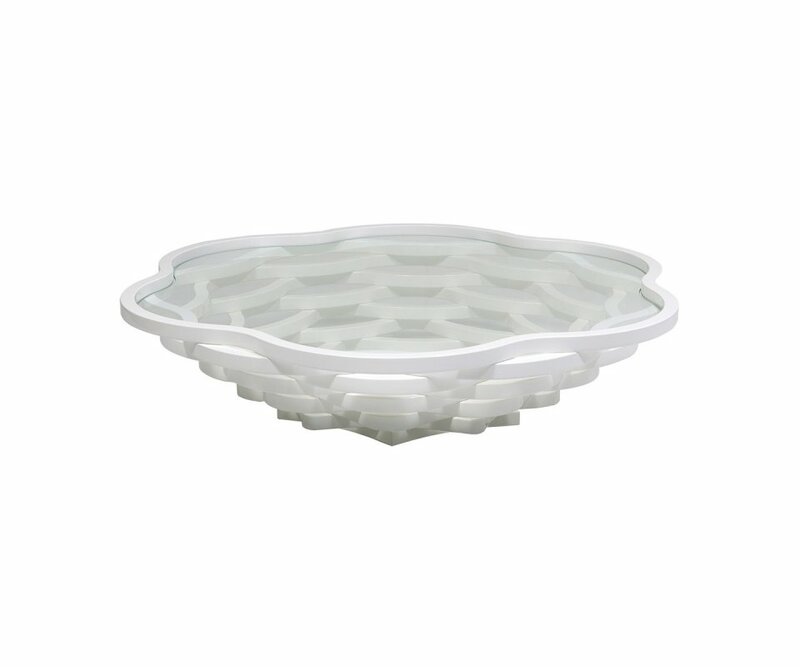 TEMPERED GLASS TOP: This oval tempered-glass top provides a view of the gorgeous geometric basket-weave design beneath the table, and is a waterproof, easy to clean surface for entertaining. 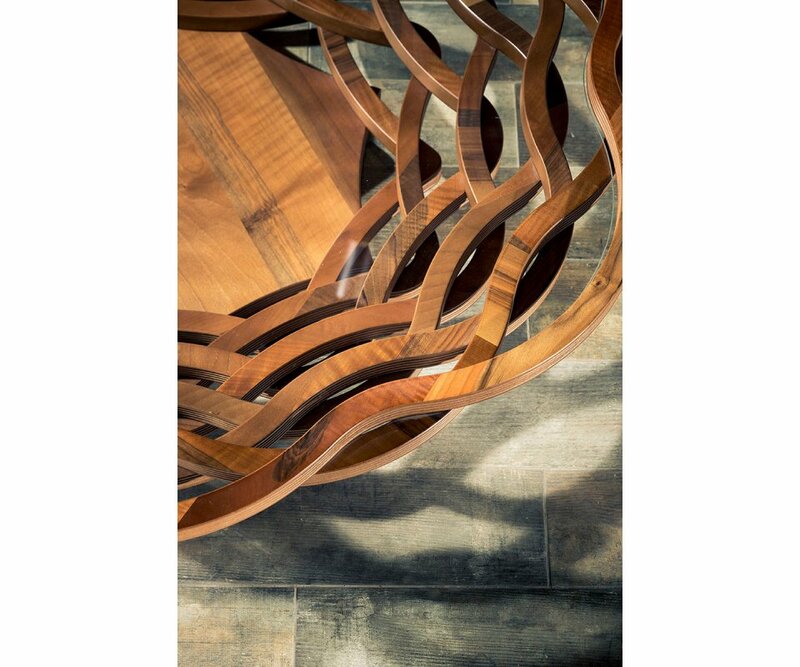 TWO COLOR OPTIONS: This dramatic table comes in white or walnut veneered finishes to best accent your home décor. 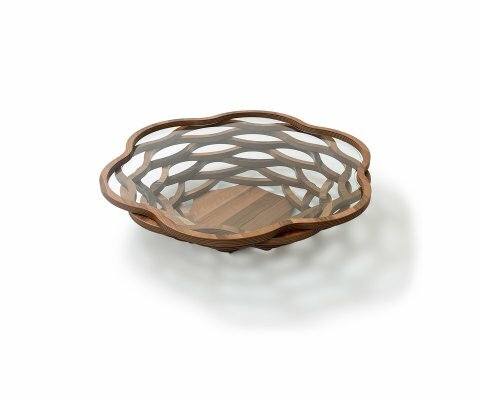 LOW HEIGHT: The coffee table height is 11”, providing a low surface for entertaining that won’t block your view of guests when holding flowers, serving pieces, or other tall items. One dramatic piece is all it takes to take your room from frumpy to fabulous! 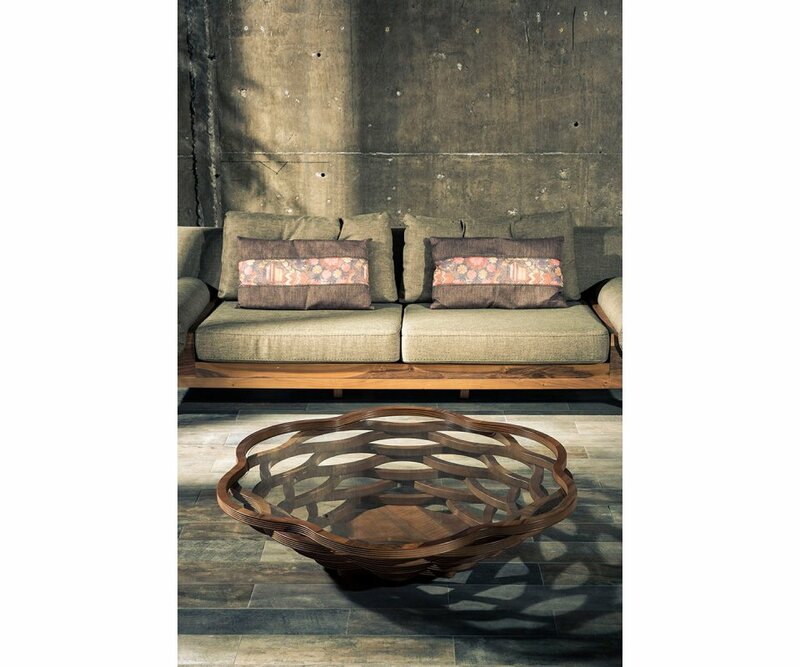 The Flower coffee table is a perfect example! 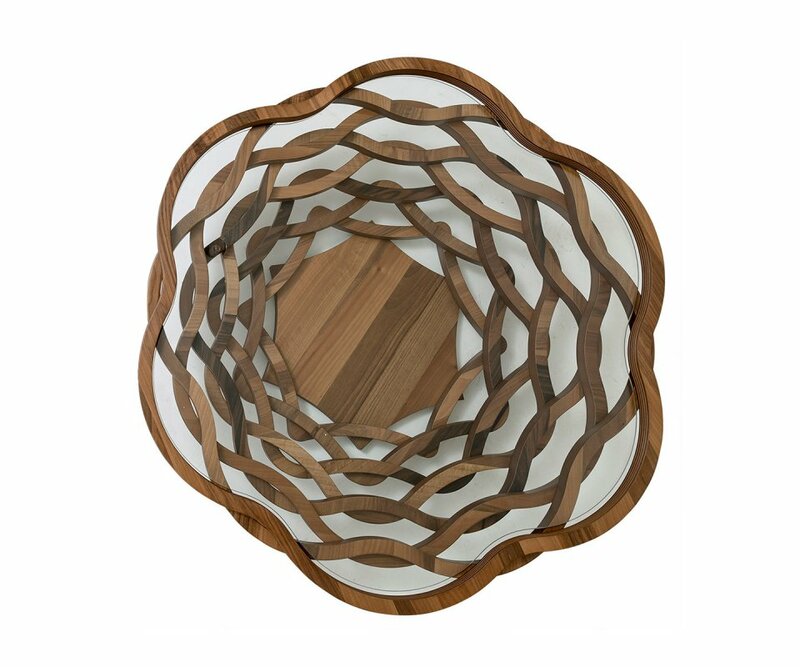 It’s designed with something unexpected…an open basket weave pattern, made from wood, and flared to hold an oval tempered-glass table top! The top reveals a dramatic view to the intricacy of the design, while providing a waterproof, easy to clean surface that’s perfect for entertaining. This table comes in either white or walnut woodgrain veneer finish, and is made to last from premium MDF boards for stability and long-lasting beauty. The table is 11” in height, and provides a low surface for casual entertaining, without tall items like flowers or serving pieces blocking the view of guests for your conversation area. 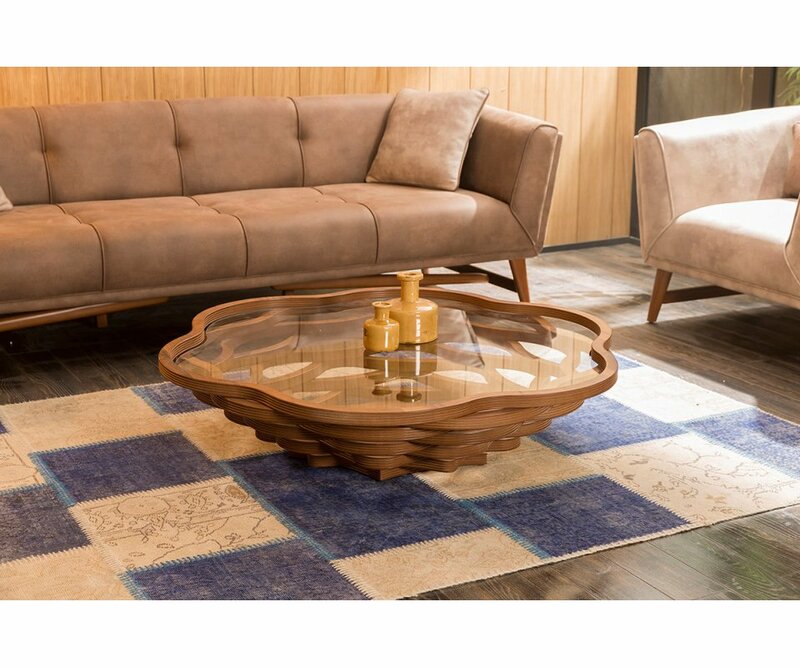 The Flower coffee table will put the WOW in your space, and coordinates with home décor from casual country to chic and sophisticated!